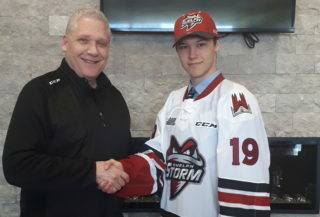 The Guelph Storm announced today that rookie Cam Hillis is the Player of the Week for the week ending October 29th, 2017. Held off the scoresheet on Friday night, Hillis still managed to be the Storm’s top point getter this week recording five points in three games. The Enniskillen native was named third star in his best performance on Saturday night in Erie, recording two goals and two assists the Storm’s 5-4 shootout loss. 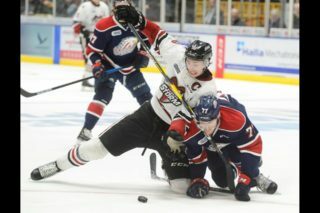 Sunday against the Knights, he was named the second star of the game scoring the game winner in the Storm’s 4-0 victory. So far this year, Hillis has 11 points in 15 games and sits third on the Storm in scoring. 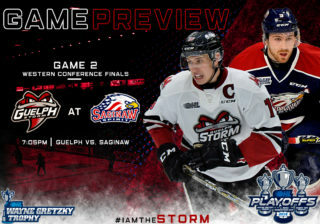 Next up, the Storm are away from the Sleeman Centre this coming weekend with games in Kitchener on Friday and Flint on Saturday night. They then return home for two games on Friday, November 10th when they host the North Bay Battalion and Sunday, November 12th when the Sudbury Wolves visit the eye of the Storm. 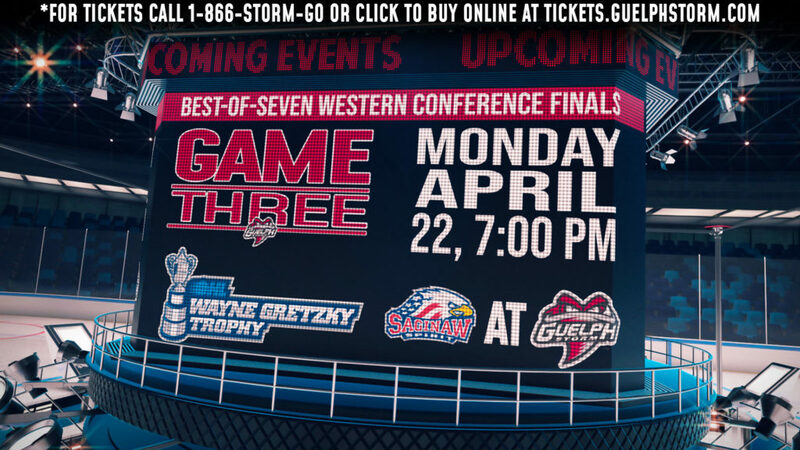 Tickets can be purchased for both games online or by visiting or calling the Guelph Storm Box office at 519-837-9690.